My Favorite Restaurants for 2012! 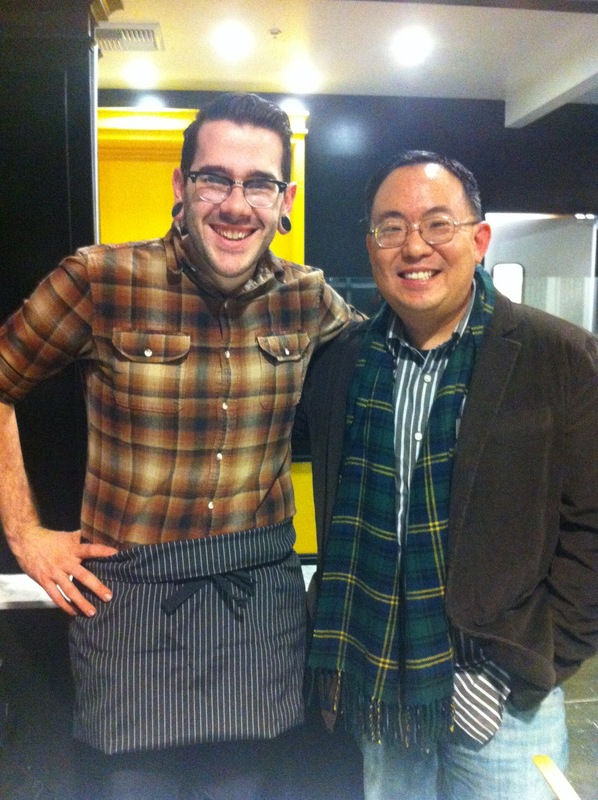 Here is my list of my top places that I went to go and eat at in 2012! In no particular order just in chronological order! Cocoa Lounge - only available near Valentine's Day - all you can eat chocolate! Game Day Fire-Grilled Hot Dogs - home of some very inventive hot dogs! Izzy's Bagels - best place for an amazing variety of bagels and cream cheeses! Chapter One - Best Sunday Brunch - endless mimosas and Sinatra music! Nadine's Irish mist - my favorite Irish pub! The Ranch - one of the best high end meals I had all year! Kula Revolving Sushi Bar - one of the best and affordable! Poquito Mas - one of my favorite places to eat near The Walt Disney Studio! Honda-Ya - one of my favorite places for Japanese food! Portola Coffee Lab - the best cup of coffee in SoCal! Theorem - the best place to be educated on coffee! Seventh Tea Bar - soon to be my favorite place for tea! For Instant Win Game: No purchase necessary. Void where prohibited. Open to legal residents 13 years or older of 50 U.S. and D.C. and Canada (excluding Quebec). 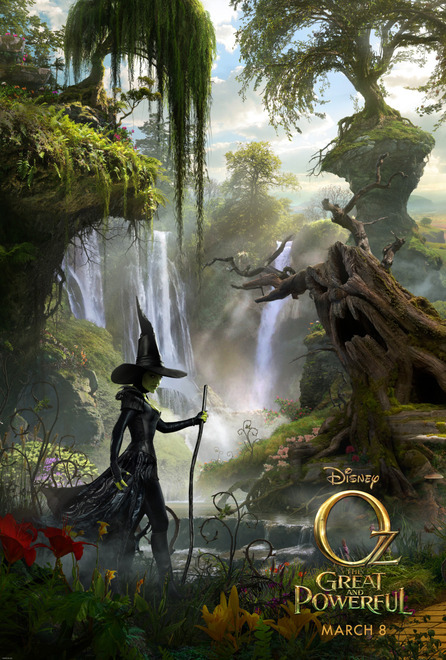 Entrants must select the Instant Win Bonus Brick in the game located at www.facebook.com/OzTheGreatAndPowerful. 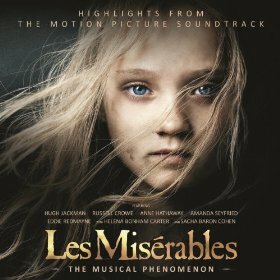 Starts 12:00:01 PM ET on 12/27/12, ends 11:59:59 PM ET on 1/31/13. 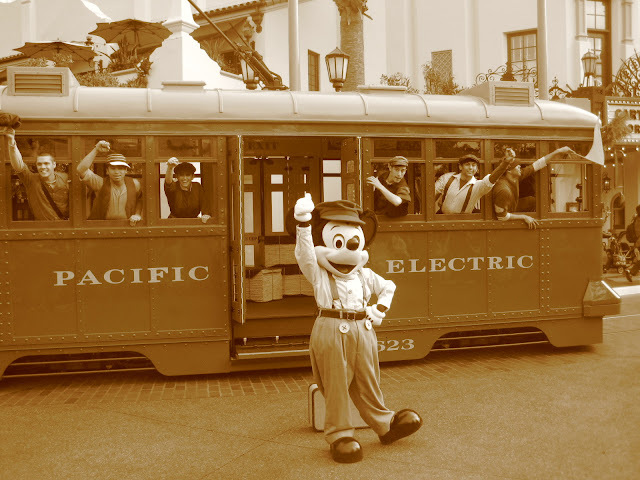 Sponsor: Walt Disney Studios Motion Pictures. Congrats! you have 48 hours to email at sasakitime@gmail.com to claim your prize! Please include your mailing addrress! Please no P.O. Boxes! congrats! You have 48 hours to email me at saakitime@gmail.com! Please include your mailing address! Please no P.O. Boxes! Congrats! You haev 48 hours to email me at sasakitime@gmail.com to claim your prize. Please include your mailing address! 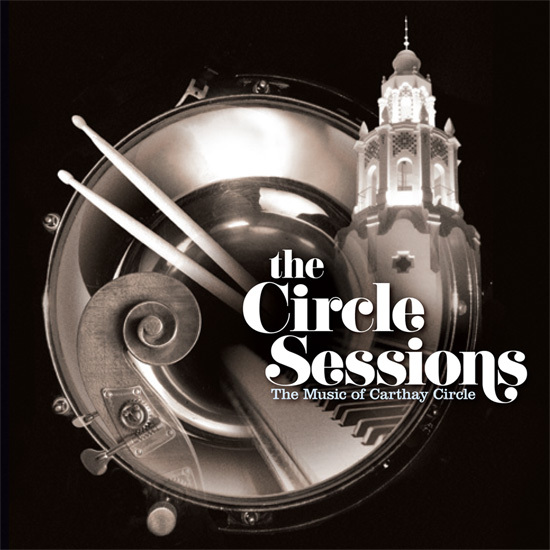 Giveaway: The Circle Sessions: The Music of Carthay Circle Music CD! 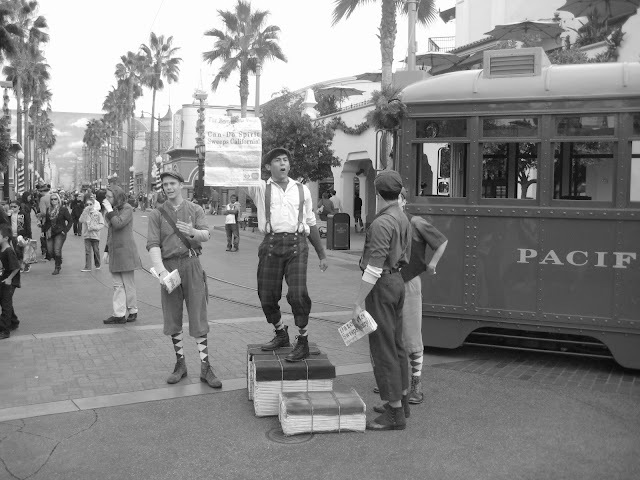 Here is your chance to win The Circle Sessions CD featuring some of the great jazz background music from the Carthay Circle in Disney California Adventure! The giveaway begins now! 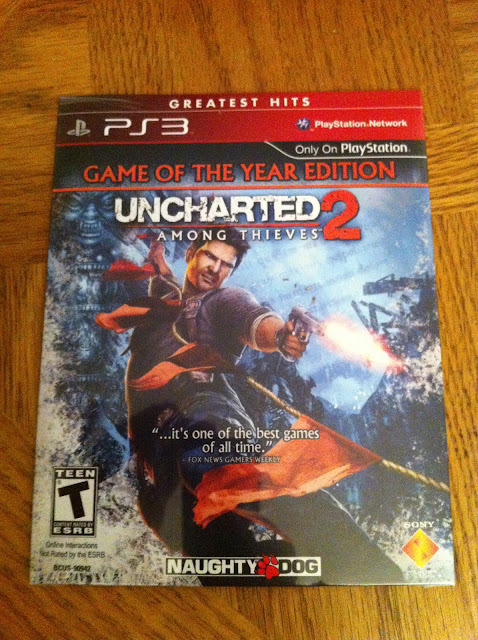 Giveaway: Uncharted 2 Game of the Year Edition! That's right! Enter to win Uncharted 2 Game of The Year Edition! The giveaway starts today! Good luck! Fan Recipe: Beef Stroganoff Meatballs from Katie! Preheat oven to 500. In a large pot of boiling, salted water, cook pasta according to package directions. Reserve 2 1/2 cups pasta water, drain. Meanwhile, in a large bowl, combine breadcrumbs, milk, 3/4 TSP salt and 1/4 TSP pepper. In a large heavy pot, melt butter over medium heat. Add shallots and cook, stirring occasionally until softened, about five minutes. Remove from heat; transfer 1/4 cup shallots to the breadcrumb mixture, along with the beef, and stir until just combined (do not overmix). Form into one-inch balls and place one inch apart on a rimmed baking sheet. Bake until browned and cooked through, about seven minutes, turning halfway through. Add mushrooms to pot with remaining shallots and cook, stirring, over medium heat until mushrooms are softened, about five minutes. Season with salt and pepper. Add reserved pasta water, scraping up browned bits, and bring to a rapid simmer. Cook until liquid is reduced by half, about six minutes. Remove from heat and stir in sour cream and 2 TBSP dill. Add meatballs and toss to coat. Divide pasta among four bowls and top with meatballs, sauce and remaining 2 TBSP dill. 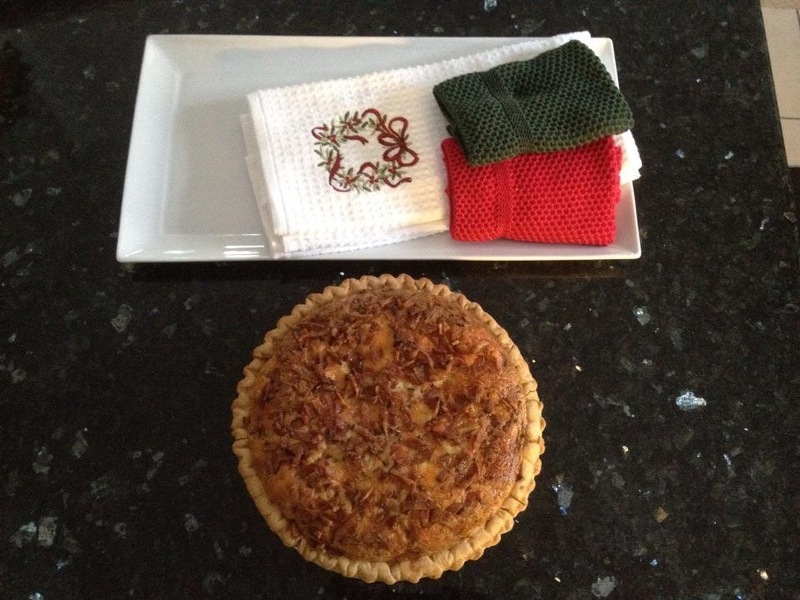 Fan Recipe: Tammy's Quiche from Chris! 2 cups heavy whipping cream ( I use 1 1/2 - 1 3/4 for one, or it gets too full and spills over. Place butter, onion, bacon, bleu cheese & Swiss cheese in the crust. Mix eggs well add salt to taste, and nutmeg, then add whipping cream, mix thouroughly. Pour into crust. Place on a cookie sheet in a preheated oven at 425° . Bake for 18-20 minutes. Turn oven down to 325° continue baking for 36-40 more minutes. At 325° the cheese melts and browns. If serving immediately, let it rest for 10 minutes. Better Than Baileys Hot Chocolate Recipe! 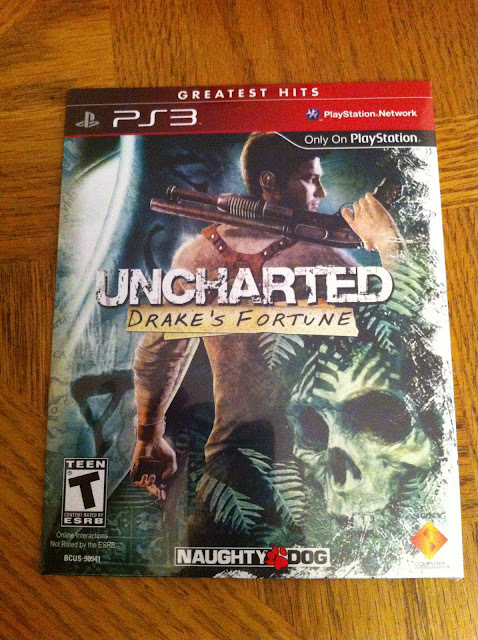 Giveaway: Uncharted for the PS3! Here is your chance to win the first Uncharted for the PS3! This is my favorite video game franchise for the PS3! If any video game ever made me feel like a modern day Indiana Jones then this is it! Good luck! I have gone to heaven! 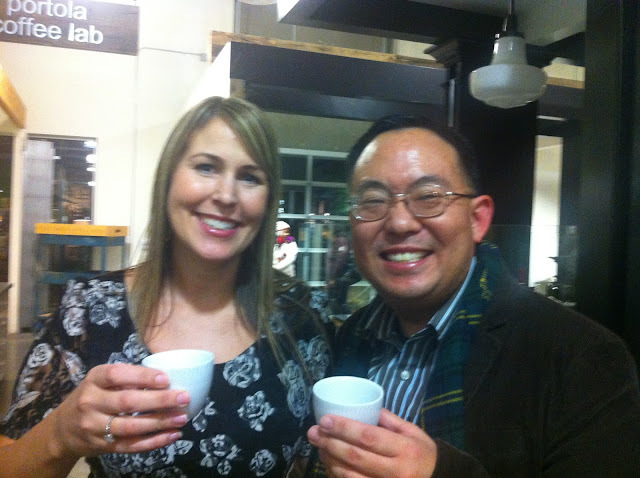 Christa and Jeff Duggan, the masterminds behind my favorite place for coffee, Portola Coffee Lab and the genius craft brew bar Theorem, are bringing tea into the mix! 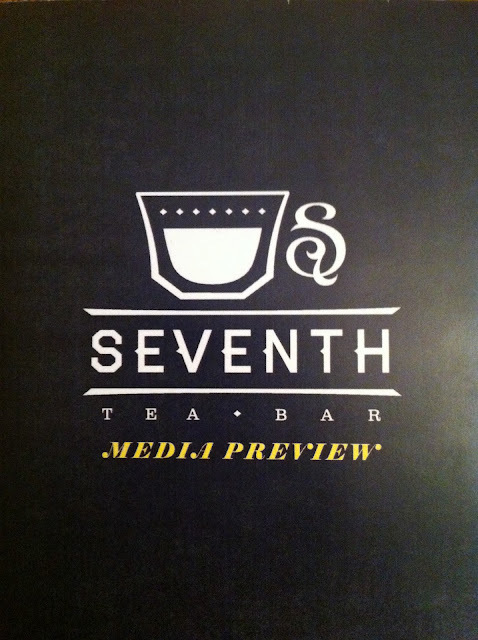 They are opening Seventh Tea Bar in January! 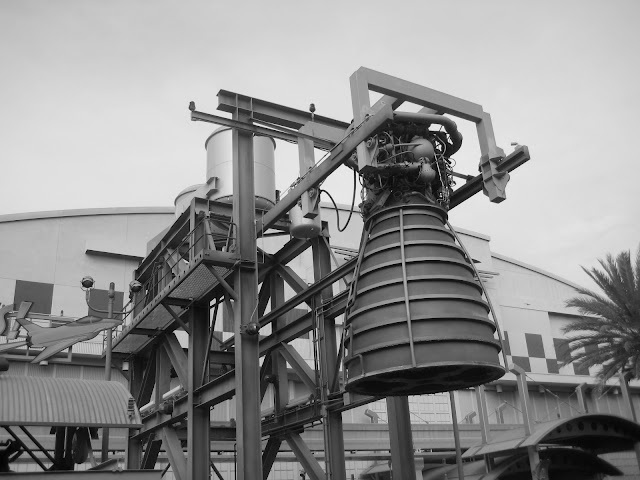 I was lucky enough to attend a media preview! 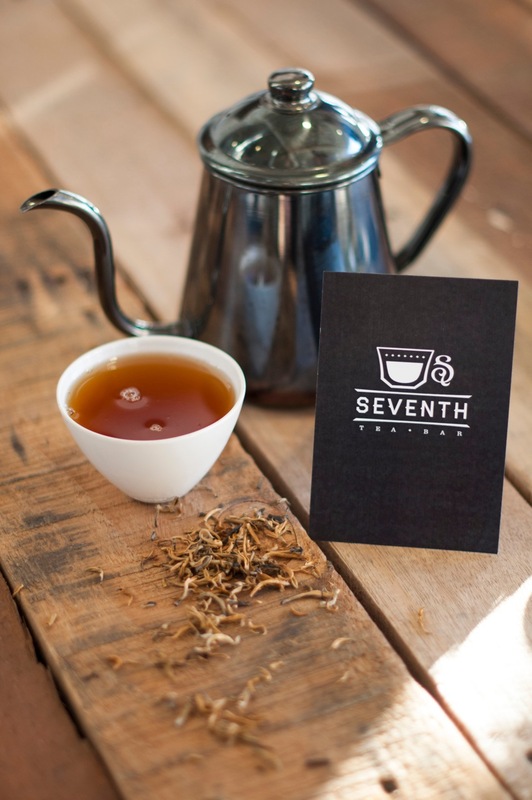 The name Seventh derives from the Chinese philosophy that there are seven necessities to life, with tea being the seventh of these. If you enjoy tea, then you really owe it to yourself to come here next month to have a tea experience like no other. The knowledgeable tea baristas (my phrase not theirs) will take you through the various teas and brewing processes, much like they do at Portola and at Theorem. It is the educational knowledge that one walks away with from each visit, especially at Theorem, that I can equate to understanding the differences of wines for instance. 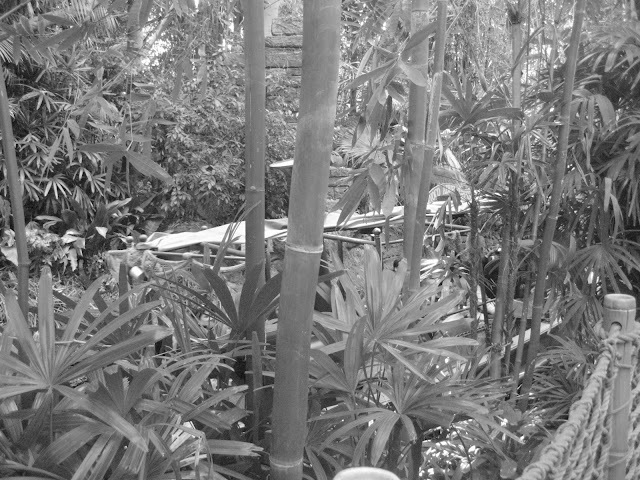 But instead of wine, it is gaining knowledge of coffee and eventually tea. And after my experience at Seventh Tea Bar, I completely understand why tea is one of the seven necessities of life. The first tea for the evening was their Yunnan Gold Tip tea from Yunnan, China. It was prepared by the one and only Truman! 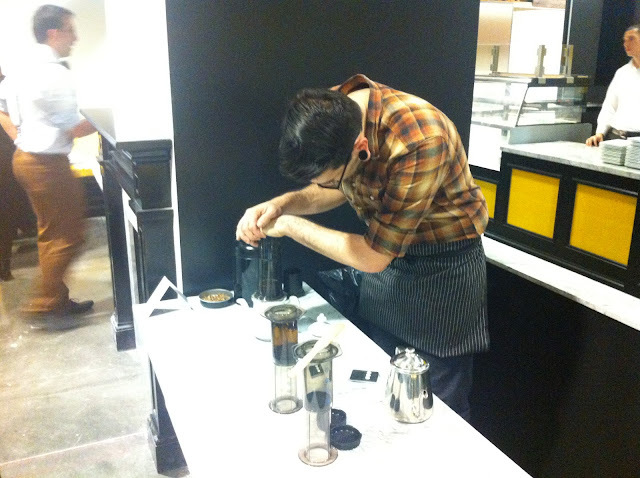 Truman is the wizard behind Theorem and is as passionate and knowledgeable about coffee as he is about tea. What I learned about this particular tea is that in China only royalty was allowed to drink tea made from the tips of tea leaves. Truman prepared this tea utilizing an aeropress typically used for coffee. The resulting tea was slightly peppery with a subtle bitterness to it. I would pair this tea with something sweet. I paired it with the French baguette and strawberry-black pepper jam. I really enjoyed the contrasting flavors of slightly bitter and sweet. Plus, the pepper in both the tea and the jam blended well together. The second tea was the Dragonwell 3rd. It is a green tea and while I typically enjoy green tea, this one was much more bitter than what I was use to. I gladly paired this with the Smoked Chicken Salad (smoked chicken, Greek yogurt vinaigrette, green apple and scallions) tea sandwich. The bitterness of the tea and the subtle flavors of the sandwich paired perfectly with one another. 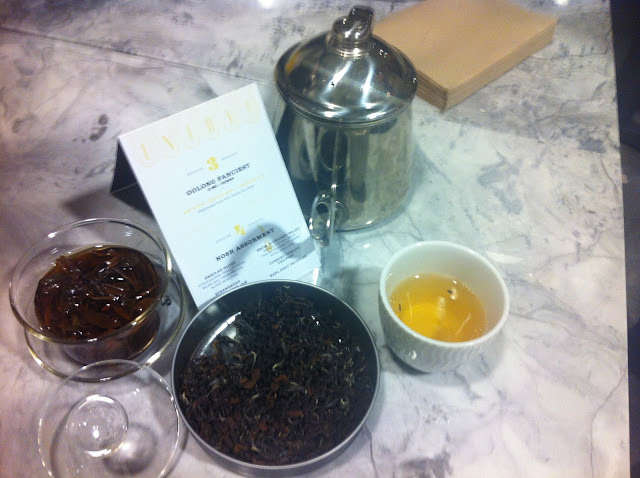 The last tea I sampled for the evening was the Oolong Fanciest from O Mei, Taiwan. 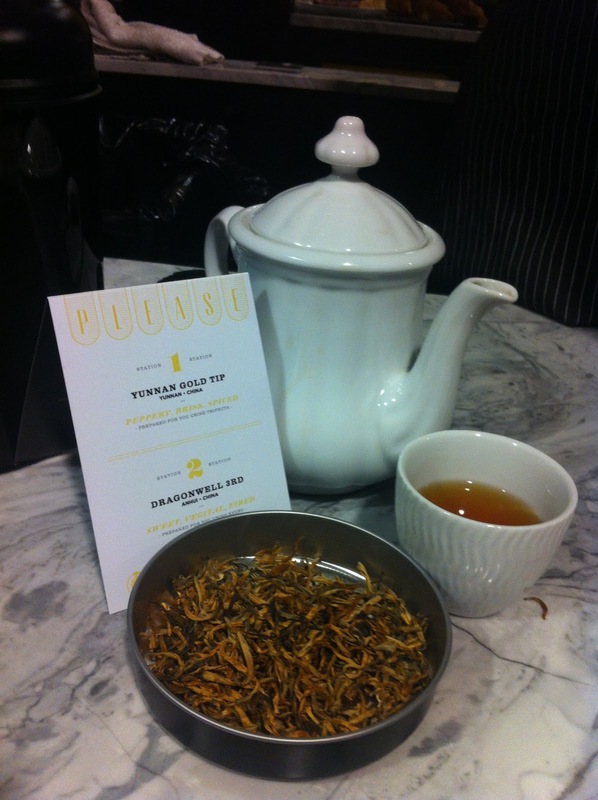 This was by far my most favorite tea of the evening. It was prepared using the gaiwan technique and I watched as the tea barista Kelly infused this tea several times. This produced a very subtle, full-bodied tea that was very easy on the palette. I easily paired this with the Gravlax Glory (house cured citrus salmon, shallot-caper relish, dill creme fraiche, sliced heirlooms) tea sandwich. I loved the subtleness of the tea paired with the saltiness of the salmon. A pure joy! 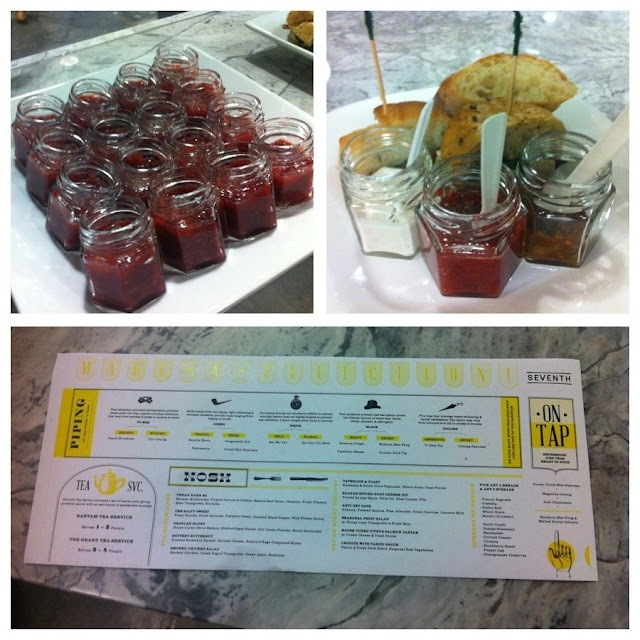 Taking a look at just some of the food offerings that will be available at Seventh! 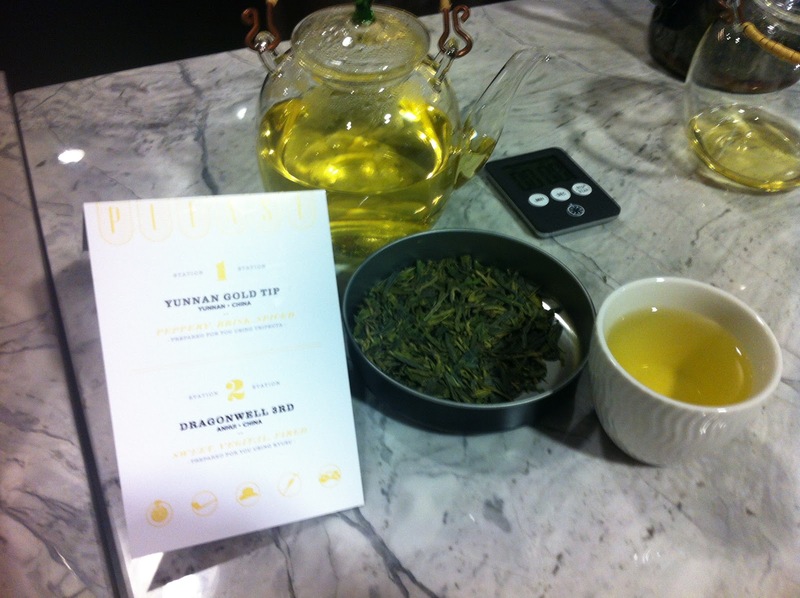 The menu was created by Chef Katherine Louis and is meant to not only compliment the teas, but stand out on its own as well. 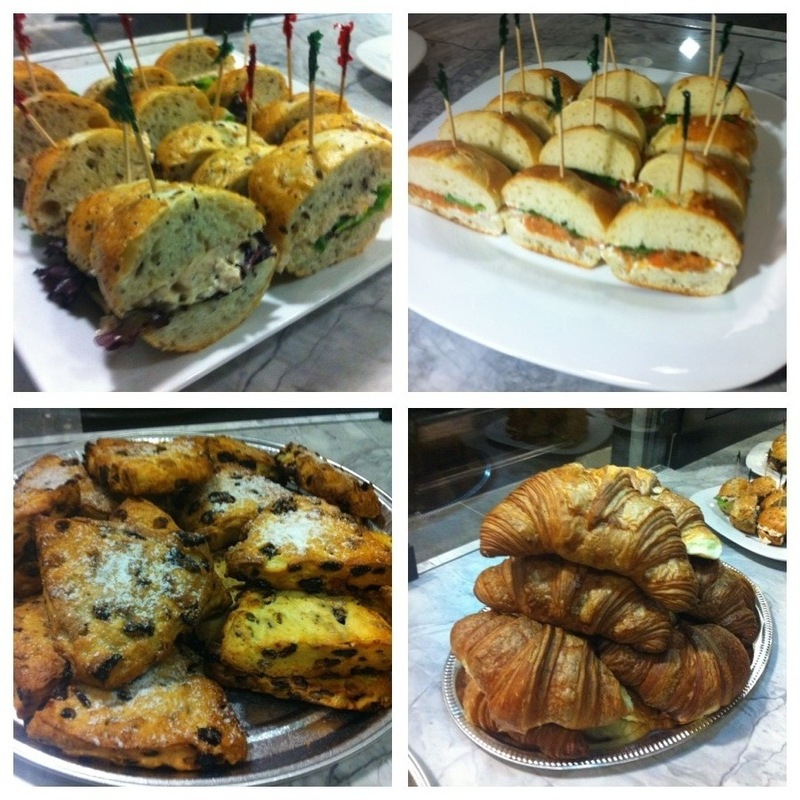 Starting with the top left is the Smoked Chicken Salad tea sandwiches! The Gravlax Glory tea sandwiches are on the upper right! The apricot and walnut scones on the lower left! The amazing light and buttery croissants on the lower right! Anytime of the day that you visit will be a heavenly experience! The unbelievably delicious strawberry-black pepper jam on the upper left! I want a few bottles to take home please! The top right is my plate to sample the food offerings! I'm not ashamed to say I went back from more! The bottom is an example of the menu. January 2nd cannot come soon enough! Special thanks to Christa Duggan (sorry I didn't get a picture with all of us Jeff!) for this wonderful preview! You have already made a coffee fan out of me for life! 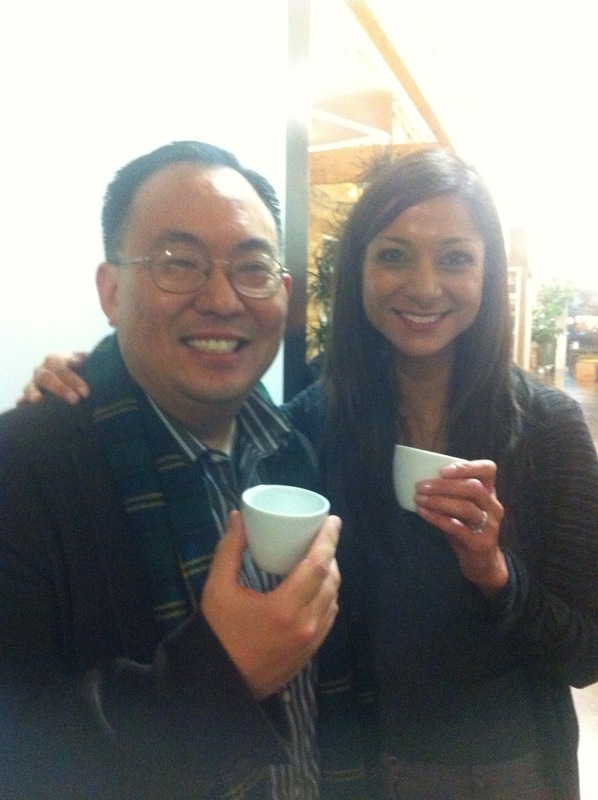 And you are already making me a tea fan for life! I cannot wait for whatever your next idea may be! Thank you to coffee and tea barista extraordinaire Truman for giving me the understanding of the many complexities of coffee and now tea. I look forward to be further educated in the future! And of course thank you to Mona for the invite! Thank you introducing me to Portola coffee Lab. My world has never been the same! This evening was truly special and to be with people who truly love what they do makes everything that much more enjoyable! When people tell you that the extra ingredient is love, they really mean it here. You will find people that understand their craft far better than anyplace I have ever been. And when you merge the best ingredients with the most knowledgeable people, you create magic. Seventh Tea Bar opens on January 2nd and if you are a fan of tea or just a casual tea drinker, you will not find a better place to experience tea. 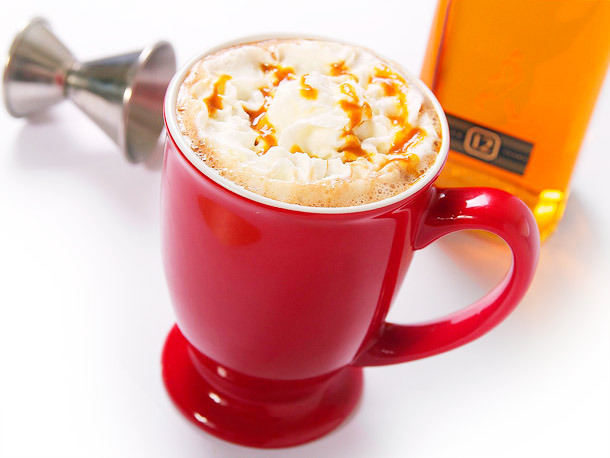 Salted Butterscotch Hot Chocolate Recipe! TODAY ONLY (12/25/12)! 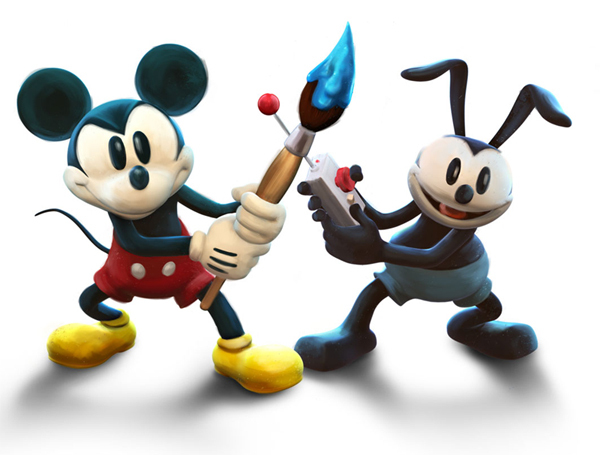 Disney Epic Mickey 2: The Power of Two for PS3 or XBOX 360 for $19.99 (67% off) + eligible for Free Shipping! 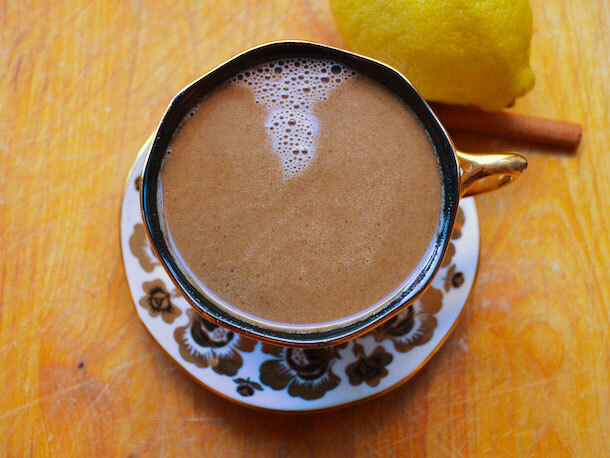 Cinnamon Bun Hot Buttered Rum Recipe! 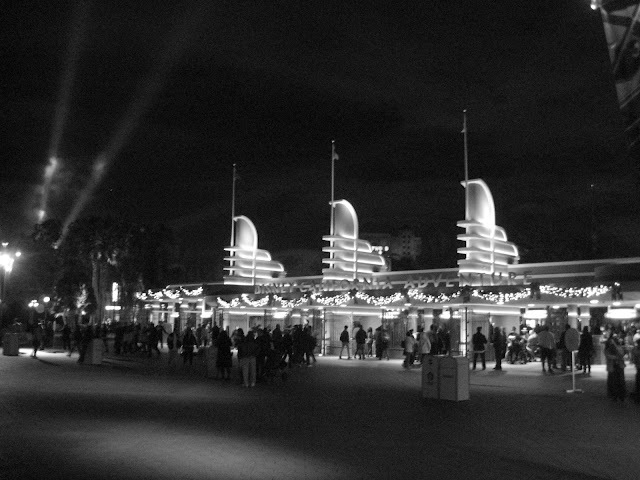 Today's epic Disneyland Resort Trip Report is brought to you in spectacular black and white! 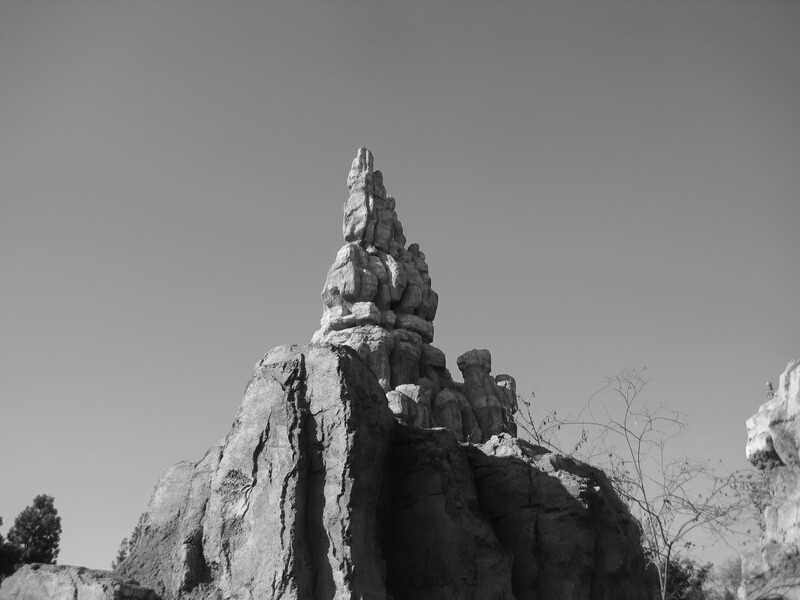 I just felt like doing something different and not really any specific photos, just fun shots along the way today! Here is a reliable old Jungle Cruise boat making it's way deeper and deeper into the jungle. The hearse in front of the majestic old riverfront mansion prepares you for what is inside. 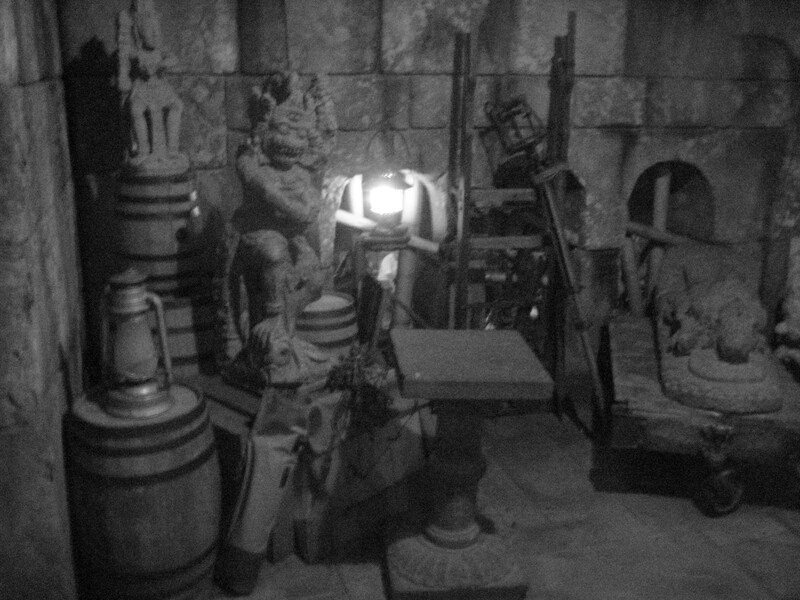 Sometimes even the artwork inside an old mansion looks cooler in black and white. 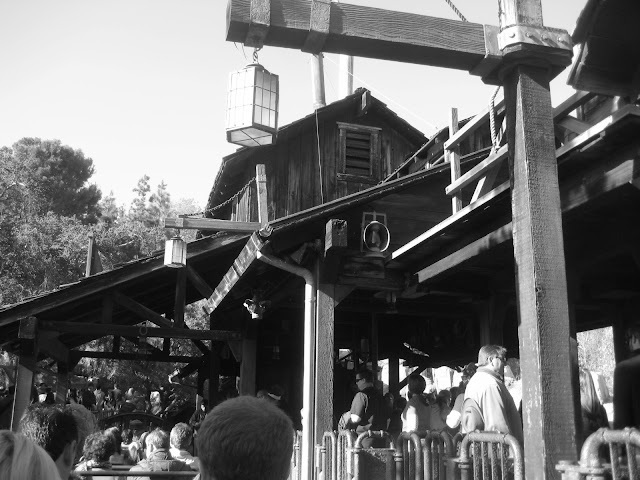 One more look at the old Big Thunder platform. Makes me wonder how much of it will change with it's upcoming rehab time. Will any of the rock work change? 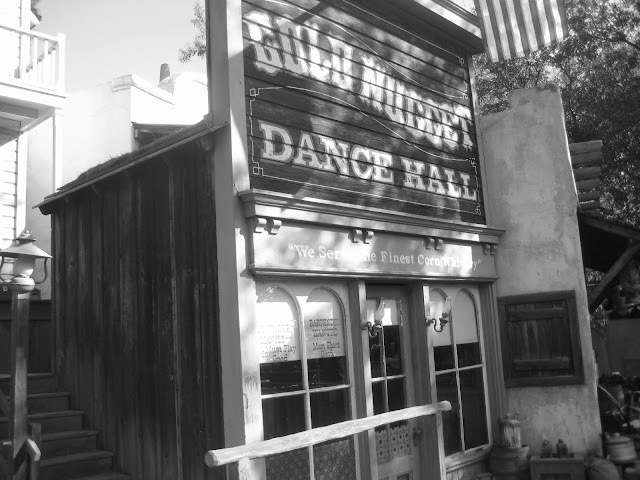 Has the old Gold Nugget Dance Hall seen it's last dance? 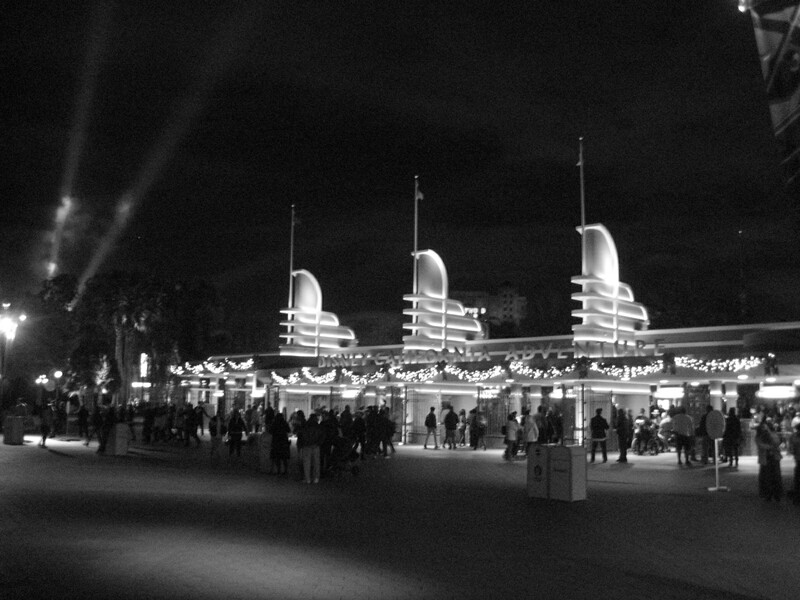 Or will it come back in full glory? 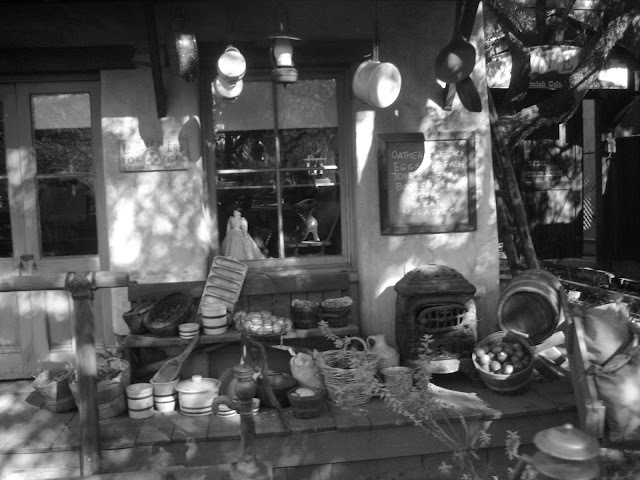 Remind me to stop by the general store one last time! 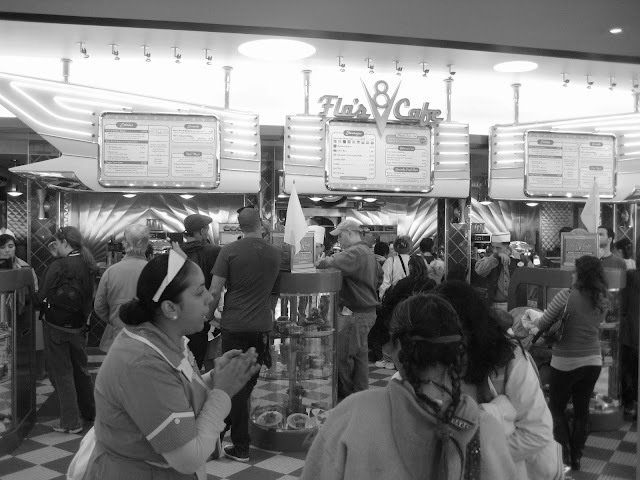 It suddenly feels like the 50's! 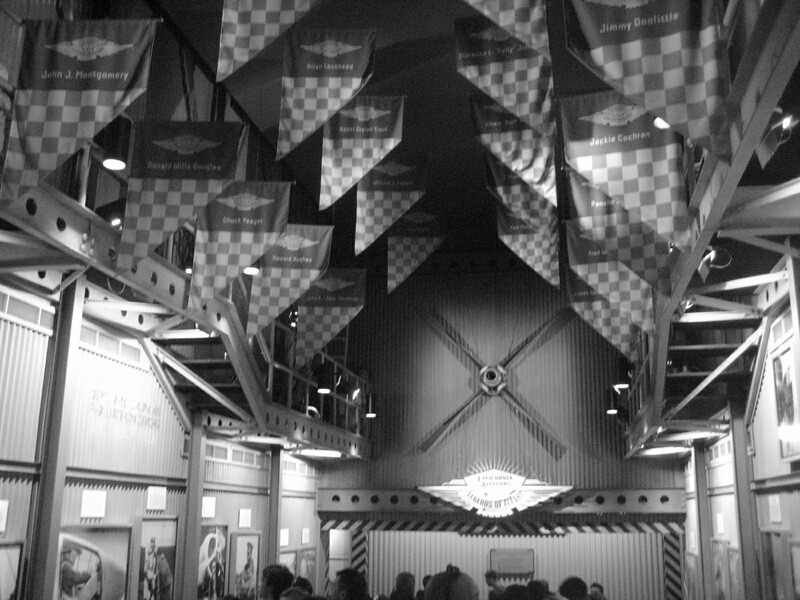 Inside Flo's V8 Cafe! One of my favorite places to eat inside of Disney California Adventure! 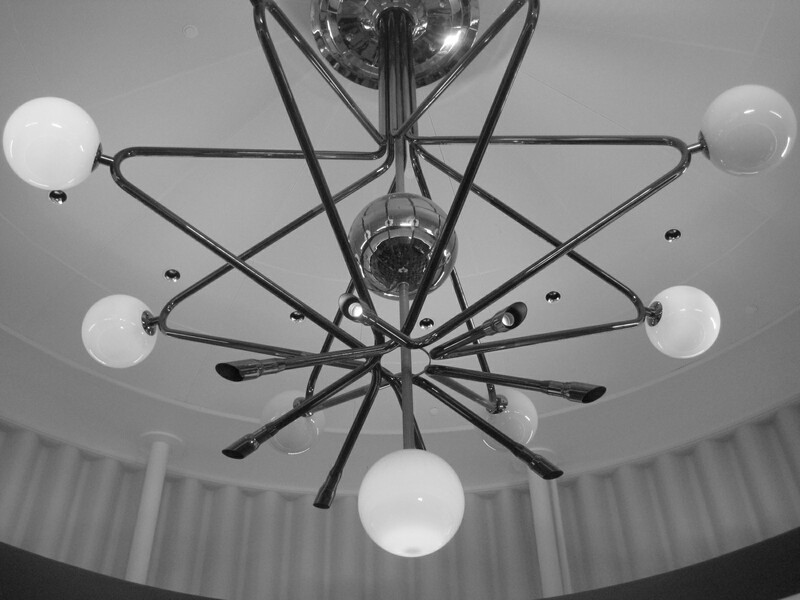 I love this light sculpture inside of Flo's! The Wings of Fame at Soarin' Over California! Aviators came from all around to fly here! Anyone up for a movie matinee? 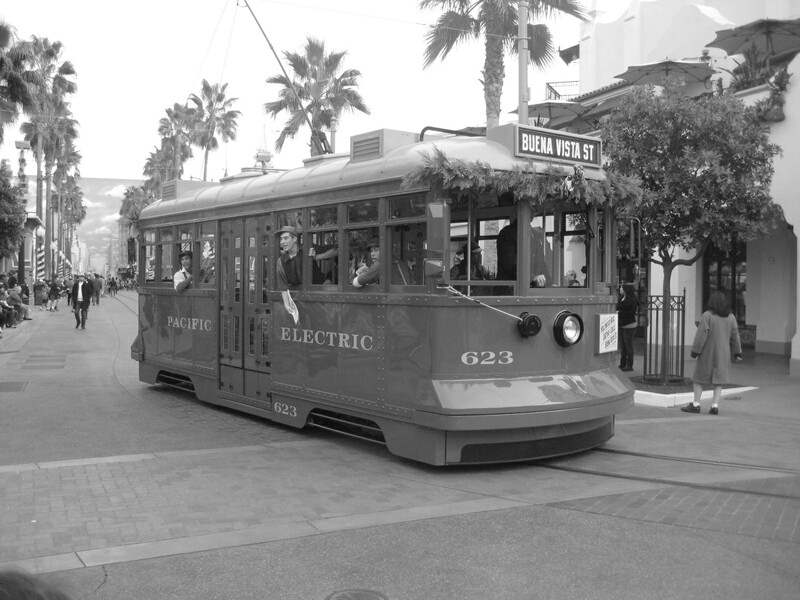 Clang clang clang went the trolley! The newsboys are very enthusiastic about the news today! Even Mickey bowed down to me! lol! 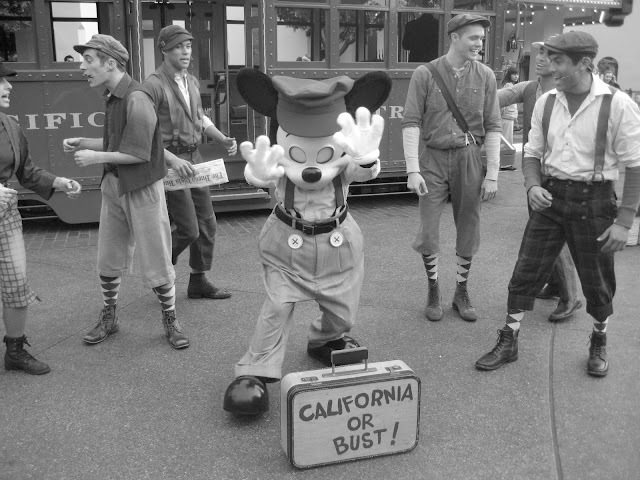 All it takes is a suitcase and a dream! Just a cool looking shot! 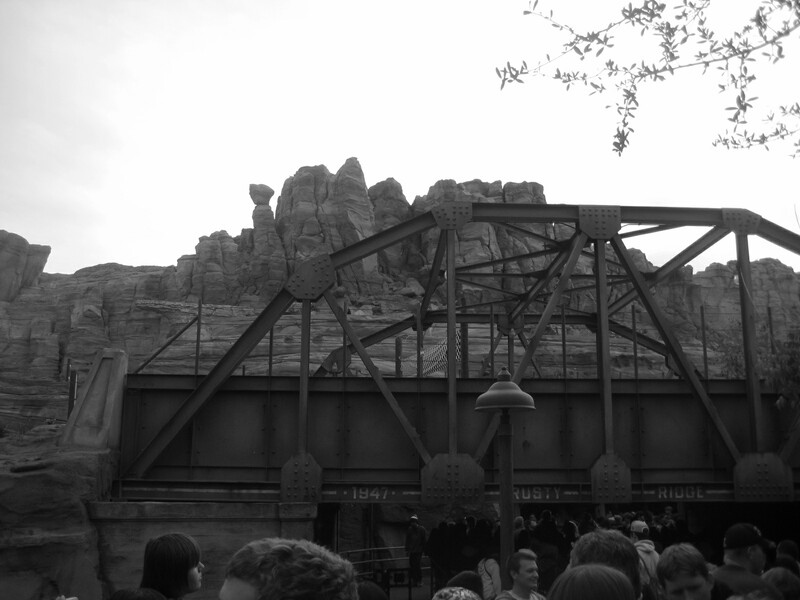 The view from my car on Radiator Springs Racers! 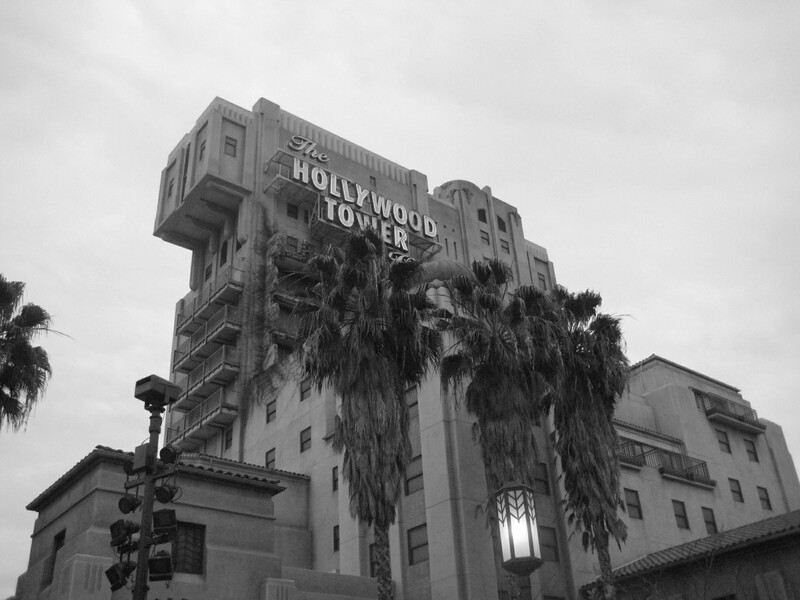 The world famous Hollywood Tower Hotel still stands above the rest of Hollywood! 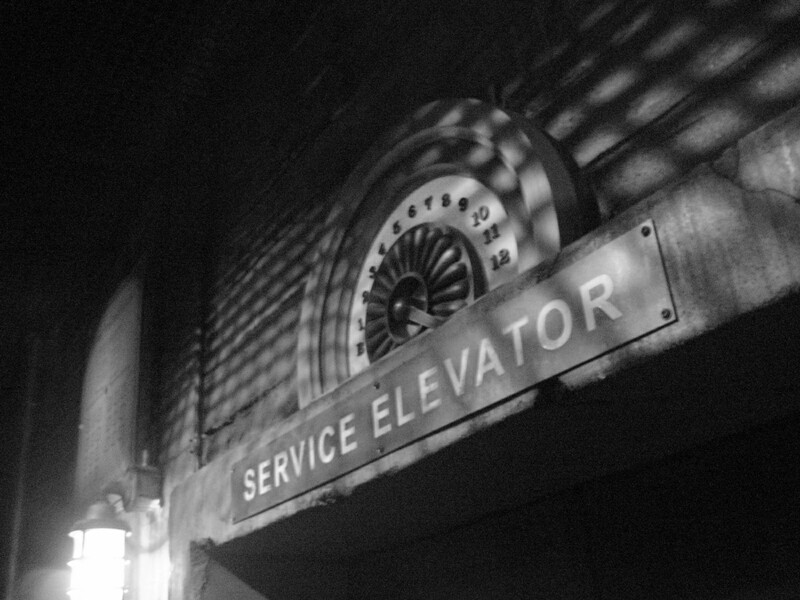 We have to take the service elevator to reach our rooms! 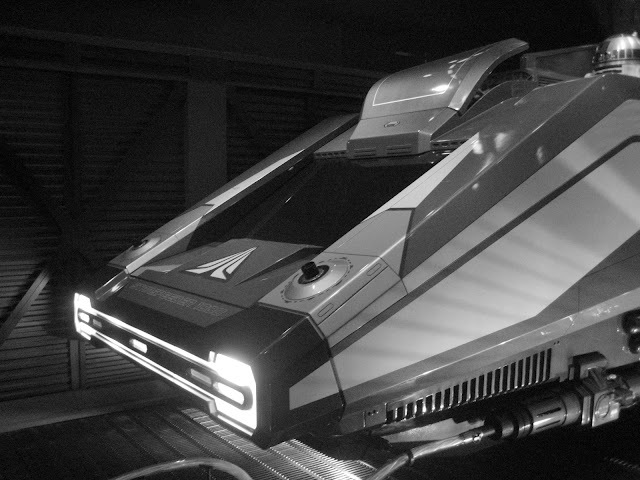 The StarSpeeder has never looked better! 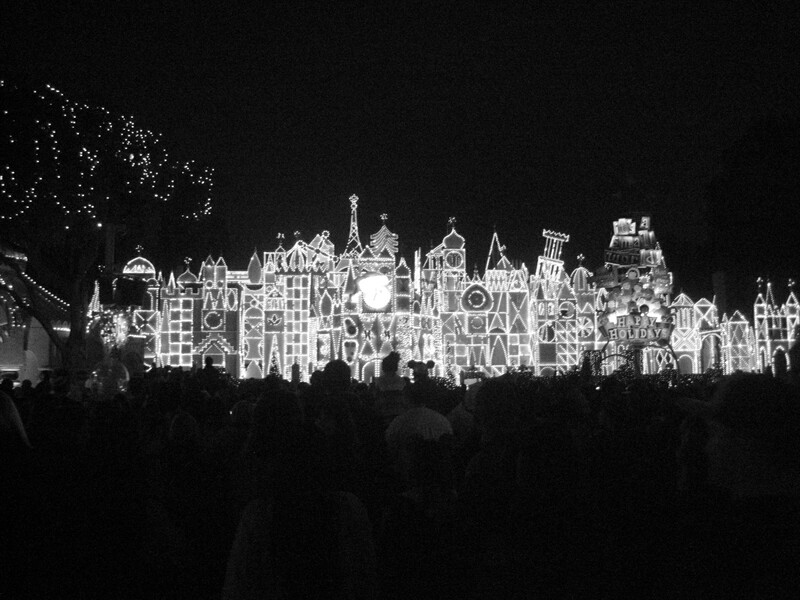 The bright lights of It's A Small World Holiday still look great even in black and white! 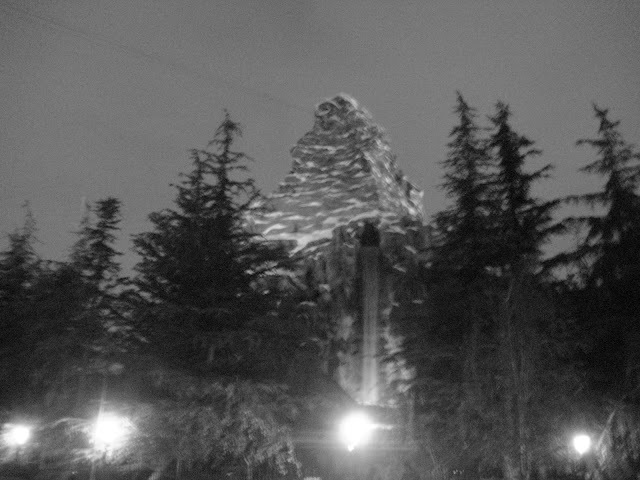 From my ski lodge I can see the icy slopes of the Matterhorn! 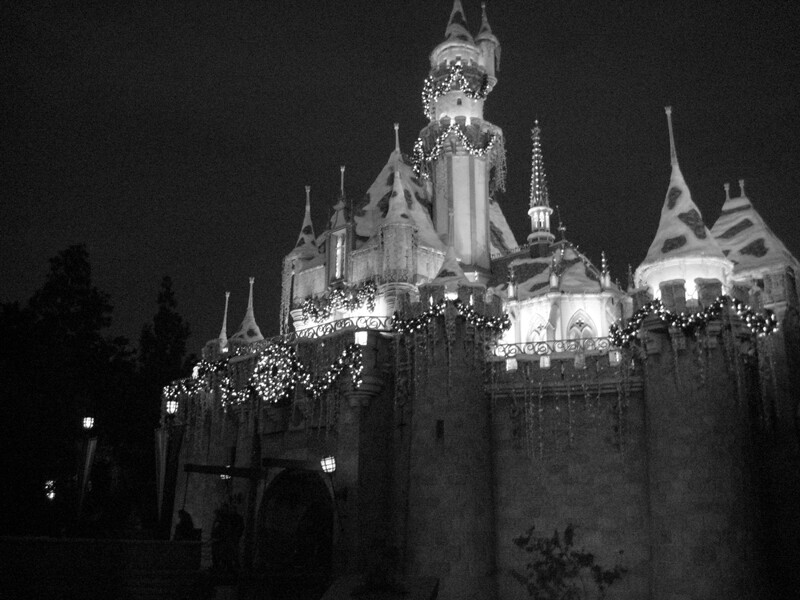 Sleeping Beauty Castle stands as a proud symbol of Disneyland! 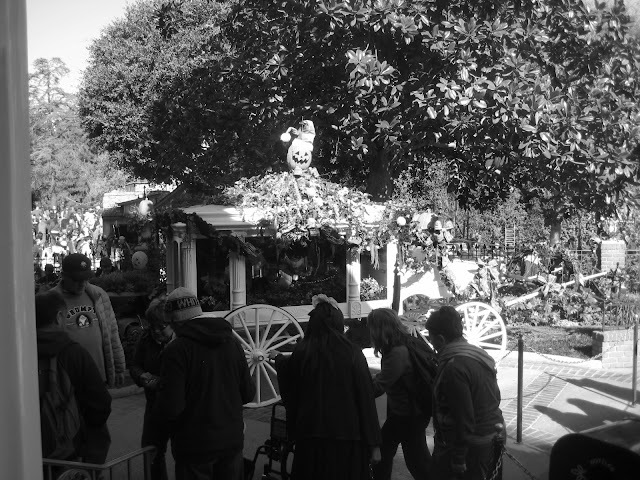 It makes me feel as if Walt himself could walk by at any moment! The entrance way to Disney California Adventure is preparing us for the 1920's when Walt first arived in California! 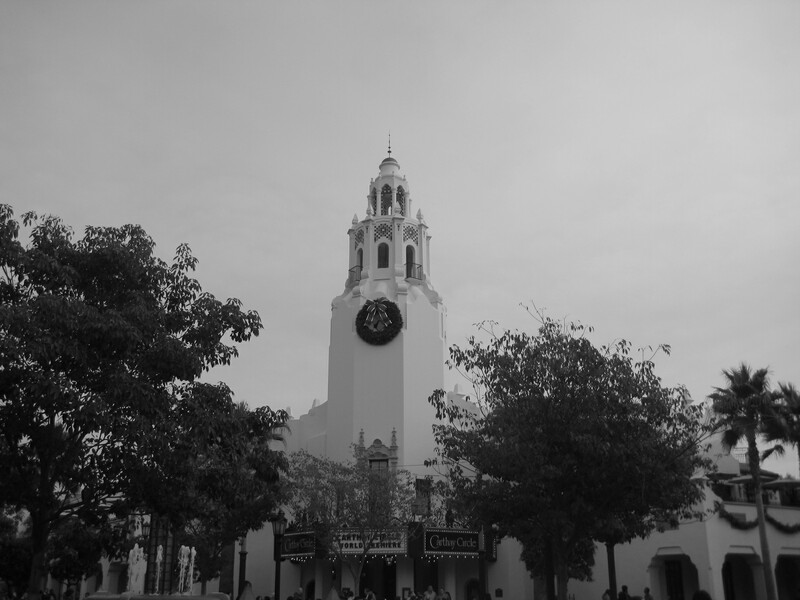 I hope you enjoyed this random photo tour through The Disneyland Resort! If you would like to see more photos like this in the future please let me know! 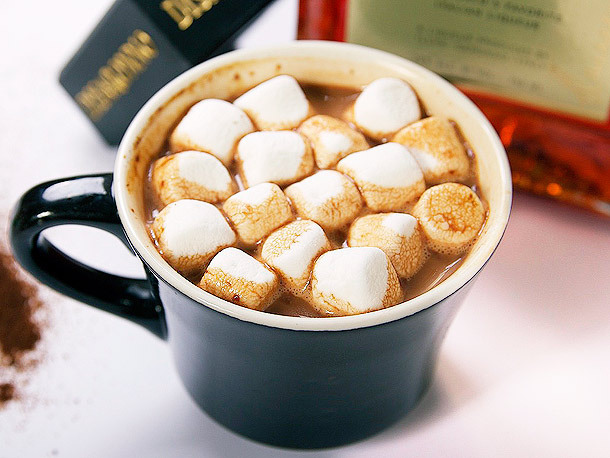 Tequila Mint Hot Chocolate Recipe! 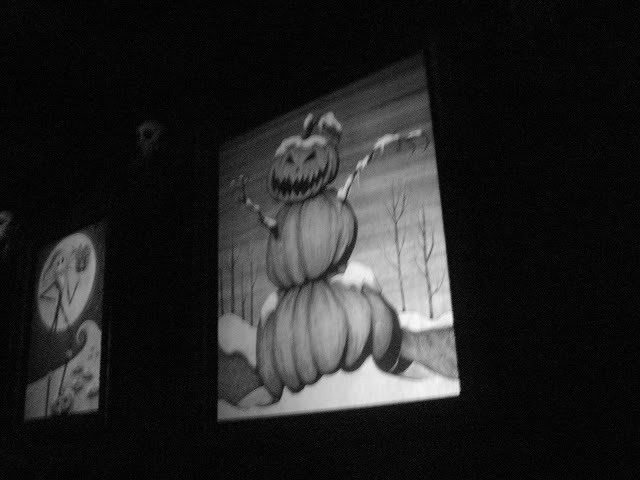 HAPPY HOLIDAYS from Disney's MONSTERS, INC. 3D!! Chocolate and Spice Eggnog Recipe! Review: Muffin Topz of Baldwin Park! 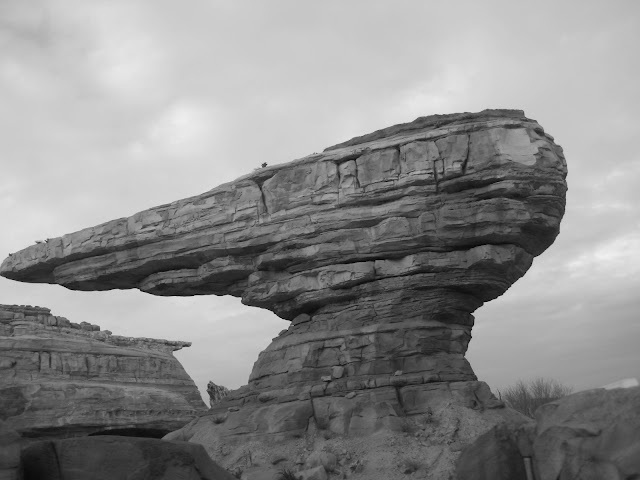 The Lone Ranger: Full Trailer! Giveaway: Babes In Toyland on Blu-Ray! Giveaway: The Joy Luck Club on Blu-Ray! Buttermilk Maple Gin Flip Recipe! Homemade McDonald's-Style Eggnog Shake Recipe! Giveaway: Infamous for the PS3! Disney Is Taking Us Deeper Into The Grid! Chocolate Peppermint Bar Cookies Recipe! Bourbon Maple Cider Cocktail Recipe! Review: California Wine Club Holiday Selection! Giveaway: How The Grinch Stole Christmas on DVD!